T&T engages 3rd- through 6th-graders by answering their questions about God and the Bible, guiding them through this pivotal life stage to grow in Christ. Handbooks and large-group lessons deepen a child's knowledge about God and His Word and teach how to put that knowledge into action in everyday life. 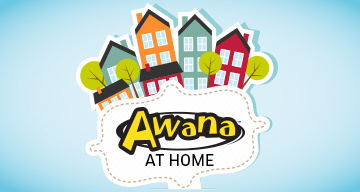 T&T is different from other Awana programs. It is comprised of two clubs with distinct curriculum, uniforms and awards. Truth & Training is designed to help kids stay plugged into the Scripture as they move into the preteen years and continue growing in their relationship with Christ. T&T Ultimate Adventure teaches 3rd - 4th graders that salvation in Christ is the ultimate adventure! T&T Ultimate Challenge trains 5th - 6th graders that walking faithfully with Christ is the ultimate challenge! Parents play the pivotal role in a child's spiritual nurturing. So, in T&T handbooks, every "Discovery" or "Challenge" begins with a parent page that explains how you can reinforce the truths taught in subsequent sections and help your child succeed. We would love for your child to join us in T&T!